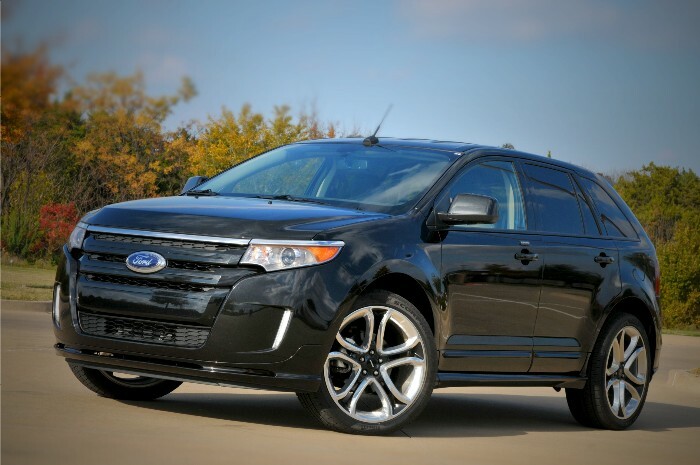 The Ford Edge crossover utility vehicle paved the way to a new segment for Big Blue Oval to compete. We recently got familiar with a 2011 Edge Sport model, aimed at customers who want a fresher, hipper crossover and this year Ford has updated styling AND technology. The Edge Sport rolls on up to 22-inch polished aluminum wheels, a first for this segment. The Edge Sport 22-inch wheel/tire handling package elevates the already “sporty” crossover to a new level of handling and control. It feels at home on a road course or twisty mountain road, but still delivers a ride agreeable for even a daily driver thanks to performance-tuned shocks, springs and steering components. The Sport model also shows its personality courtesy a unique front air dam, side skirts, lower door caps and a rear skirt, all finished in body color, instead of the dark lower finish on other Edge models. The front air dam comes with integrated fog lamps and a lower grille insert. Complementing unique paint schemes are interior appearance packages that include leather-trimmed seats with Alcantara seat inserts and leather-wrapped steering wheel and shift knob. Powertrains did not go untouched in this latest edition. 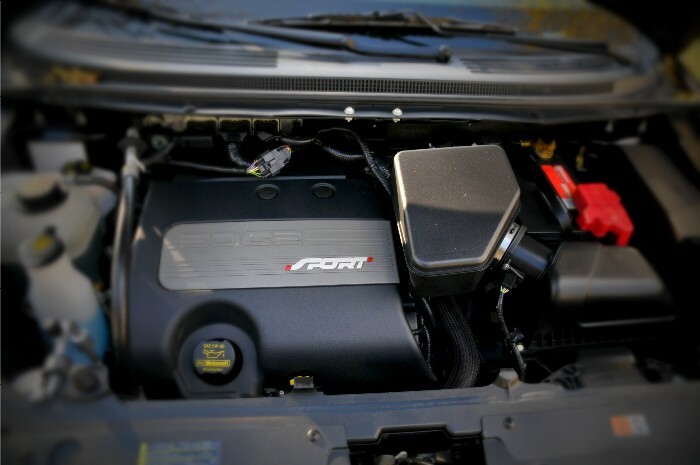 All Edge Sport models now “sport” the same 3.7-liter V-6 introduced in the new Mustang complete with 305 horsepower and 280 lb. ft. of torque and backed by a slick six-speed automatic transmission. 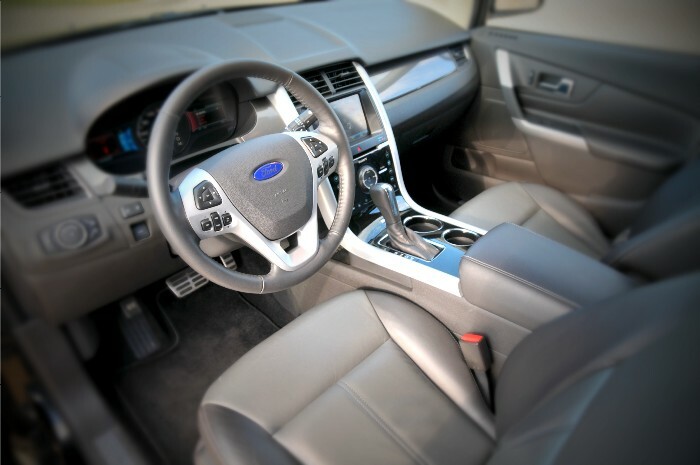 Ford even throws in steering wheel paddle shifters for the truly “sport”-minded consumer. Fuel economy runs in the neighborhood of 17 mpg city and 23 mpg highway on our all wheel drive delivery. 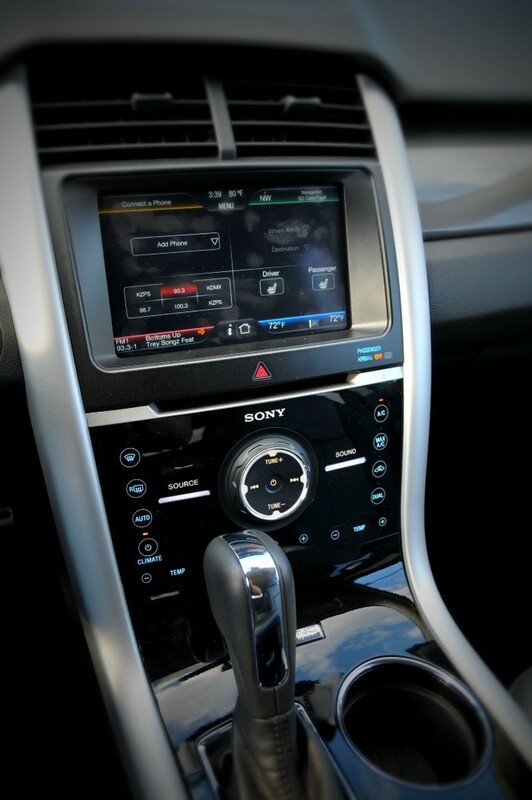 Also in the 2011 Edge is the new MyFord Touch driver connect technology that takes driver/vehicle interaction to the next level and almost every function in the new center dash is accessed or controlled via touch screen, touch panel or voice activation. 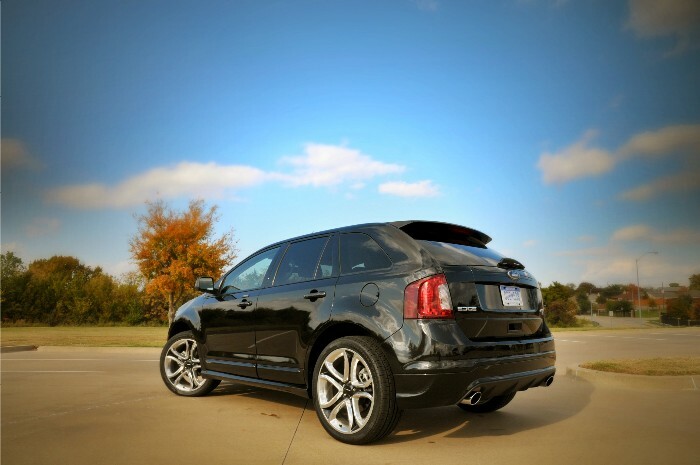 We’ve been impressed with the Ford Edge since its introduction to the marketplace several years ago. Styling is fresh while remaining this side of polarizing and for 2011 the Edge is quieter and safer than ever. Pricing for the new Edge Sport in AWD gear begins at $38.070 and after a few add-ons the final tally for our tester comes to $40,135.